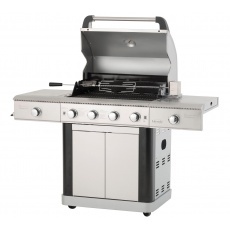 New for this season the Lifestyle St Lucia Deluxe gas grill bbq. 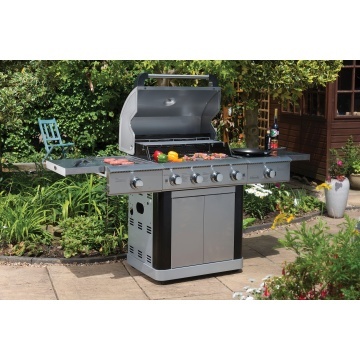 The St Lucia Deluxe Barbecue has many features essential for the discerning outdoor chef, whether spit roasting on the rotisserie, grilling, sizzling, boiling, roasting or frying, this multi-function barbecue gives the Chef numerous cooking options to serve up a feast. 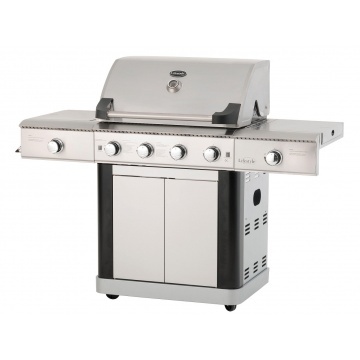 Among its features are LED lights, infrared sizzler burner, side burner preparation shelves & bottle opener. 4 x stainless steel burners. Cabinet front and drip tray. Max thermal input 22.3 kW. Cooking area 69 cm x 49 cm. Sizzle burner and side burner 26 cm x 32cm. 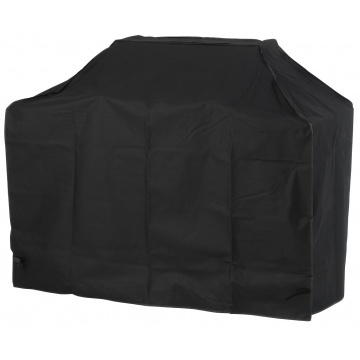 Includes gas regulator hose and full cover.